Discussion in 'Amps & Cabs Emporium Archive' started by vmeyer, Apr 29, 2016. Up for sale is my Princeton Reverb. It has never left my home. It is perfect in every way. Beautiful blackface tones, well broken in speaker, no marks, nicks, dings..and no issues. 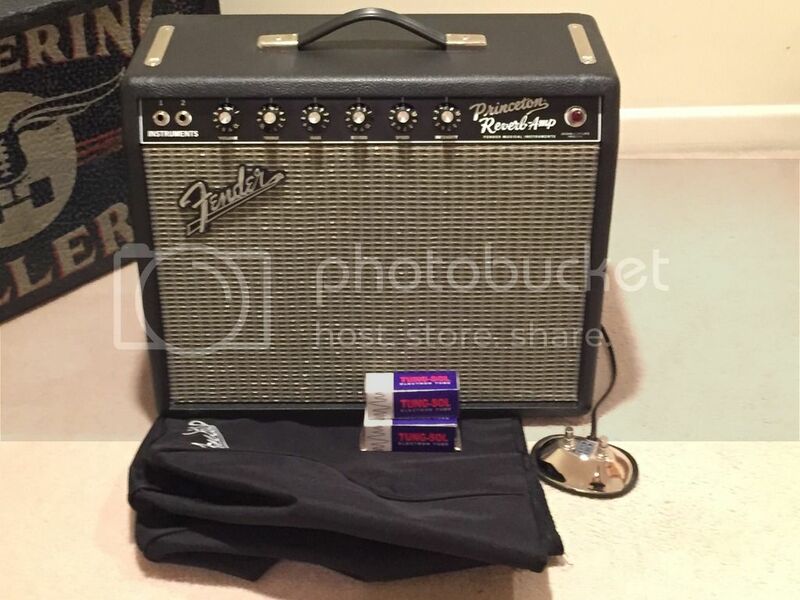 Comes with footswitch and Fender stock cover ...also in as new condition. I live in the Lehigh Valley (Eastern PA). Will drive an hour. If need additional pics, let me know. Asking SOLD.